Note: “vi” is a barebones text editor which has some confusing syntax. Copy and paste (e.g. vi’s insert mode) the above three lines into the .conf file indicated and then close vi by hitting “Shift + :” (to leave Insert mode) after making the above edit and then typing “wq” and hitting enter to write the change and then quit. Once this is done, you should be able to turn Edison into an iBeacon. 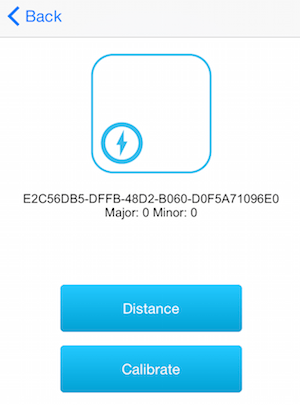 Lets prove to ourselves that our Edison is indeed an iBeacon now by detecting it with our iPhone or iPad. Take a moment and go to the AppStore on your iOS device and download the following app: Locate Beacons. Note: Make sure you have Bluetooth enabled, the button is located on the “pull up” menu in iOS 8. ← Whats in the boxes this time?